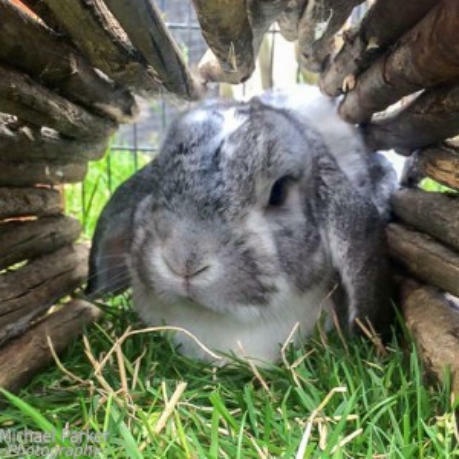 Welcome to the Small Paws lodge website Small paws lodge provides holiday boarding for your rabbit, guinea pig, hamster, gerbil, mouse or other small animal. We are situated at 25 Fairway Rise, opposite Avishayes school in Chard. We can provide accommodation for bonded pairs and multiple pets. You are welcome to come and view small paws lodge facilities before booking, please contact us to arrange a suitable time for viewing. Reasons to use Small Paws Lodge Small Paws Lodge provides your pets with a holiday experience giving you peace of mind during times that you are separated from your pet. With Small Paws Lodge you can go away feeling that your pet will be safe and cared for by professional experienced people with a genuine passion for animals which gives you one less thing to worry about. Boarding your animals whilst you are away can be upsetting especially for children so we welcome you to send your pet a postcard whilst you are away which will be placed on your pets cage or hutch which the children will see on collection. My name is Catherine Fletcher. After leaving school I went to college and achieved a national diploma in animal care from there I have worked in the animal care industry from zoos (Longleat and Cricket St Thomas), to rescue work (Ferne animal sanctuary and Heavens Gate Farm) to veterinary nursing to pet retail. Since then I have added many qualifications to my C.V. and have rescued many animals for my personal collection. Currently at home we have three rabbits, a gecko and a tropical fish tank. 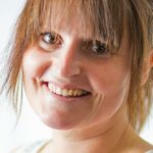 Not only do I have the knowledge and experience, I have a genuine passion for animals I understand that pets become part of our family and that leaving then can be an upsetting process but I will treat your pets as I do my own not just providing accommodation and care but also lots of love and attention. My husband Andrew over the years has gained much insight into my work and has gained much knowledge from our collections that we have had at home over the years, he has worked in pet retail where he has gained much animal knowledge. Small animal lodgings - because pets deserve holidays too!  Pet Care Policy Our primary goal is to ensure your pet is as contented as possible and kept in the best of health during their stay at small paws lodge. With that in mind all boarders must come with their own food. This is essential for small animals because their digestive systems are so complex changes can make your unwell. Pets are happier and healthier sticking to food that is familiar to them. We also encourage you to bring along any toys or beds that are familiar to them and you are welcome to bring along any treats that you would like your pet to have. We will be observing your pet regularly throughout the day. Your pet will be kept separate to that of other boarders other then those directed by you that he/she is brought in with. • Bonded pets are always kept together unless illness prevents this (see terms and conditions). • During your pets stay we will provide daily fresh bedding fresh hay (rabbits and guinea pigs). • Time outside – weather permitting (rabbits and guinea pigs). Prices Per day • One rabbit – £4.20 • Two rabbits one hutch – £6.20 • One guinea pig – £3.20 • Two guinea pigs same hutch – £4.20 • Hamsters and gerbils (other small animals) in own cage – £2.00 • Larger caged pets (chinchillas, degus) – £3.50 If your pet is boarding at Small Paws we can also offer a free nail trim during their stay with us. Fresh fruit and vegetables are given twice daily as part of the service that we offer. 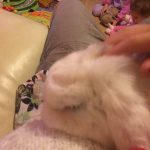 Additional services • Nail clipping of rabbits and guinea pigs – £5.00 per animal. 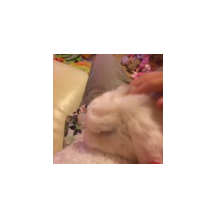 • Bunny / guinea pamper which includes nail trim and groom (Grooming requirements will be assessed on arrival we may decline this service if we feel that the pet is particularly stressed at any time or whereby we feel that the pet requires a vet to carry out requirements.) – £10.00 • Bunny match making charged on the daily rate (where you need help putting single pets together to see if they will get on) – Please contact for more information. I can’t see what I’m looking for If you do not see a price for your pet please ring to discuss details, I have experience in aquatics (tropical and freshwater, exotics and birds). Small paws lodge can also offer services from home where it is impractical to transfer their enclosure such as vivarium or fish tank. Payment Payment is required in cash or cheque only, cheques are made payable to C Fletcher. Other cash payments are required on the date of arrival. Delivery & Collection We are currently flexible on booking times to drop off and collect your pets, however, PLEASE arrive at the time that you have booked. If you arrive at a time not specified we may not be here and cannot be held responsible if this happens. If you drop off your animal late you will still be charged from the booking time agreed, unless you have contacted us at least twenty four hours in advance of the booked drop off time as the space has been reserved for you. Also consider the dates that you will require. If you plan to bring your pet the day you go away you can sometimes find that you do not have enough time, so coming a day early gives you time to provide us with the needs of your pet without feeling rushed. And consider the date of collection, people often assume that they will come the day after they return, do consider delays and packing etc These things can be stressful, ensuring that you put the right times in place will ensure that you have one less thing to worry about – please ring us if you require extra days especially in peak times space may not be available so planning is essential. Parking is available on the road outside small paws lodge however we have neighbours so please consider this and park sensibly. Terms & Conditions Health All pets boarding MUST be in good health with all medical conditions/treatments discussed with us before boarding. If on arrival your pet is showing signs of illness/injury not known to us we may refuse him/her. This is for the benefit of your pet and others in our care. Rabbits need vaccinations to prevent/protect against myxomatosis and Rabbit (Viral) Haemorrhagic Disease (R(V)HD) which can cause unnecessary suffering to rabbits. Vets are now offering a combined annually vaccine to protect against both diseases, proof of vaccination is required upon arrival of your pet. There are exceptions to this rule, for example, if your rabbit is a house rabbit and never goes outside , there may still be boarding options available so please contact to discuss what may be required before in your circumstance. If you are in doubt about this i would always speak to your veterinary surgeon. If your pet becomes ill whilst in our care we will do our up most to contact you immediately and consult your preferred vet, a £5.00 charge will be payable for each visit to the vet. All costs incurred at the vets will be met by you, the owner. If you have bonded pets which need to be separated due to illness we will charge for additional accommodation, any extra costs incurred will need to be settled on collection of your pet. In the unlikely event that your pet passes away whilst in our care we will do our up most to contact you immediately and follow your wishes. We accept no liability in the unlikely event that your pet becomes unwell or passes away whilst in our care. All pets boarded at small paws lodge are left entirely at own risk. Payments Payments are required in cash or cheque (made payable to C Fletcher) other cash payments are required on day of arrival. Prices are daily and include day that your pet arrives and departs regardless of time of day. Any bookings are reserved for you so if you need to cancel you must contact us as soon as possible. Late Collections If you need to collect your pet after the agreed date you must notify us at least 24 hours prior to ensure that housing requirements can still be met for your pet. Abandoned pets If your pet is not collected by you on the arranged date given verbally or written and we cannot reach you with the contact information that you have provided within seven days we will seek to have your pet re-homed. 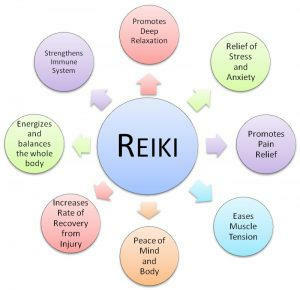 Reiki Healing I am qualified Reiki Healer, I am myself very spiritual and find that animals are very responsive to myself and this therapy. 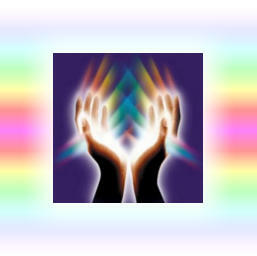 My spiritual healing and Reiki attunement was taught through the teaching of a dear friend, Reiki master and teacher. Who in turn showed me my natural ability to heal. She taught me the ancient teachings of Usui Reiki and how to channel energy that works naturally with the energy of the animals own body balancing the spiritual, mental, emotional and the physical levels of energy. This can then allow changes to take place within the animal and also you as the owner. In essence the healing will go to whenever it needs to go, nature is very powerful the body knows what it needs to heal and be at peace, to be open and allow energy that is pure love to gently flow through me to your pet, all that is past and present can be addressed to head towards a positive future. 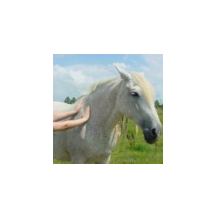 Reiki itself is an ancient method of healing, which channels healing energy through the healer this energy is then drawn to the animal receiving the healing. 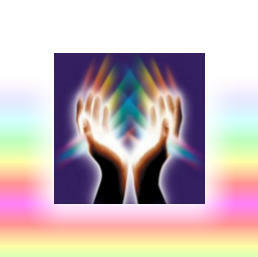 There is nothing religious attached to Reiki only the willingness to give and receive unconditional love. There are many benefits of Reiki including all and much more detailed as below: Animals are just as important as people, they love us unconditionally and teach us so much. They communicate in all the ways they know how; bark, paw, a look. But how often do we tune into them? Animals will speak telepathically to us if we take the time to listen and speak to them with respect. Animals are open to healing and they know what is good for them. 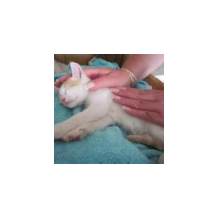 To see how Reiki may benefit your pet, contact us for more information. 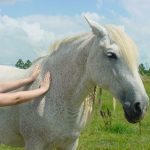 I do not have to touch the animal to send healing, I can even do this from a picture or from a distance. Prices Treatments start at £15 for half an hour, however smaller animals may not require so much time. Also consider whether you as the owner may benefit from some healing. This may be connected to past or present problems that affects you both. Treatments can be offered in the comfort of your own home to avoid disruption to the pet, contact us discuss any further enquires.